It's great to get some game time. I just tried WoW for the first time since it was released. The monk is a lot fun. I still have my Eve account going and have been mining. Have you tried Free Realms on the Ps3? It is interesting to see so many mini games. 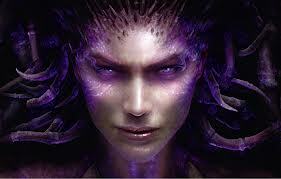 The campaign for Starcraft 2 was fantastic, Blizzard really know how to present a story. I just wish they hadn't split it up into three games to string us all along!